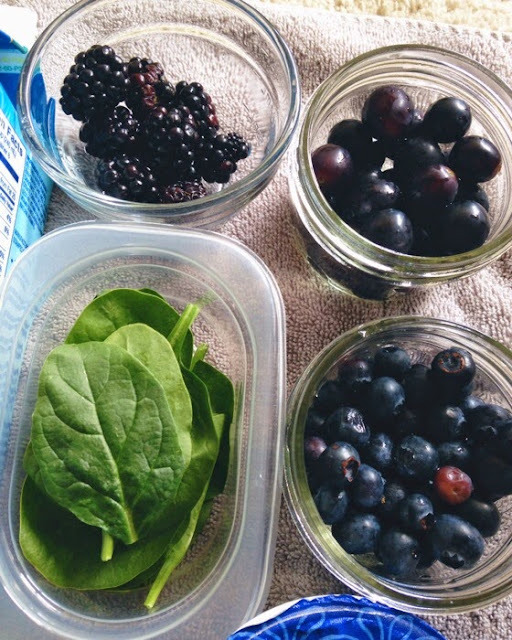 I have a fascination with deep colored, healthy smoothies. 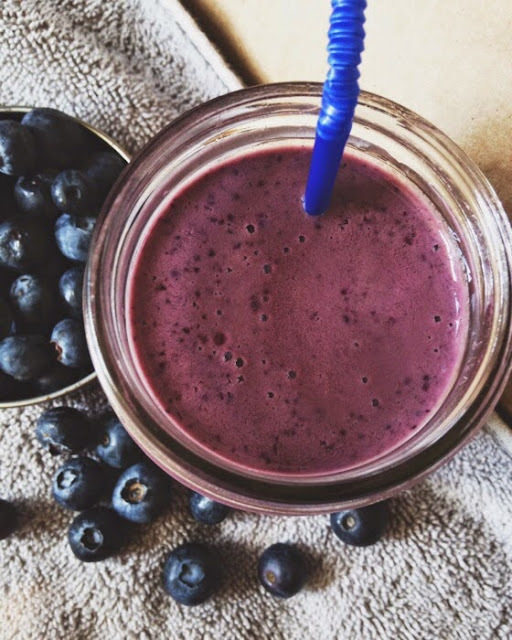 Usually, if a smoothie has a deep color, it was made with deep colored berries, fruits, and veggies. My original intention was to make another breakfast-in-a-jar creation, but I didn't think my readers would want to read another one of those recipes. They are pretty simple to mimick. 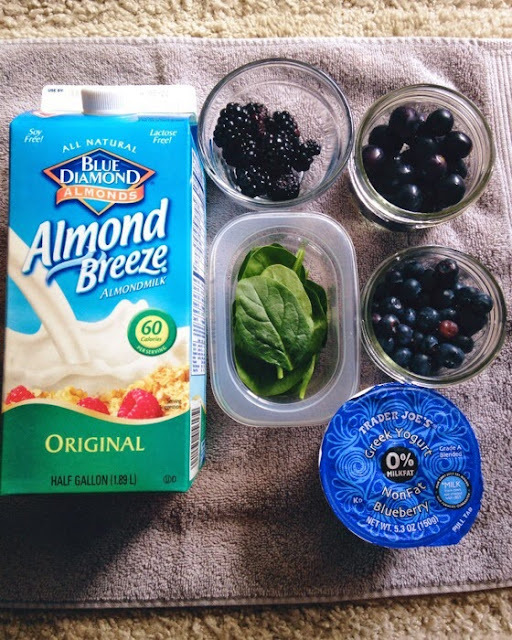 Smoothies are easy to mimick too, but sometimes people want specific kinds of smoothies. 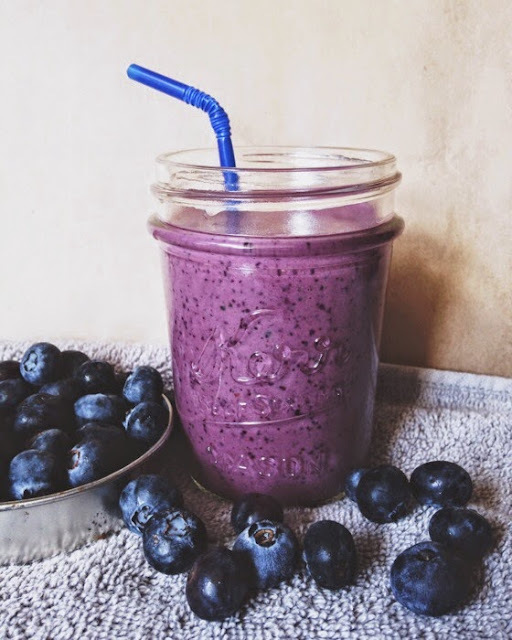 I decided to make a blueberry smoothie with Greek yogurt. It adds some protein to the smoothie, and sets up a smoothie base. 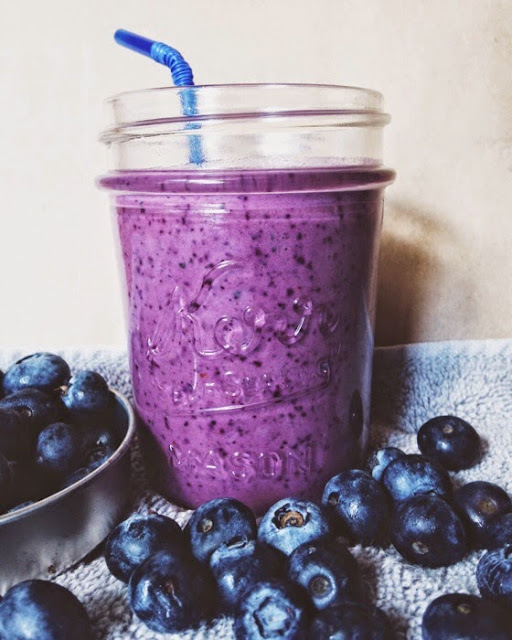 Scoop the Greek yogurt into a blender, and add in half of the blueberries. 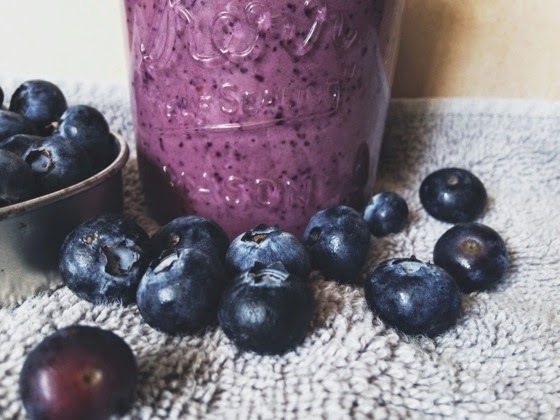 Blend the blueberries and yogurt together until smooth. Next, rip up the baby spinich and toss in the blender, blend yogurt mixture, and spinich together. After that, add in some blackberries, and some black grapes. Add in the almond milk, and blend until smooth. Add in the last of the blueberries and blend. It should be a lovely, deep purple. During the process of making the smoothie, I tilted my blender wand backward a bit, and some smoothie attacked me, and the counter, getting in my hair, on my face, and staining my right hand. That was some adventure, fortunately, it wasn't a giant mess, and it was easy to clean up, except for my stained hand. 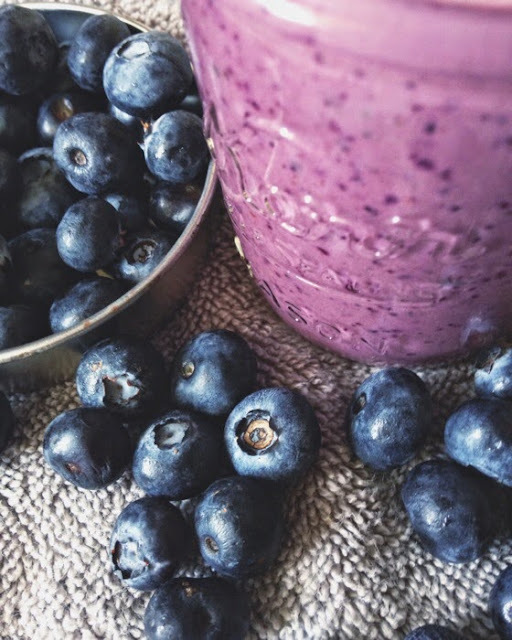 Blueberries offer a huge amount of antioxidants, anything with a natural, deep color that was grown from the ground has a heavy amount of antioxidants. 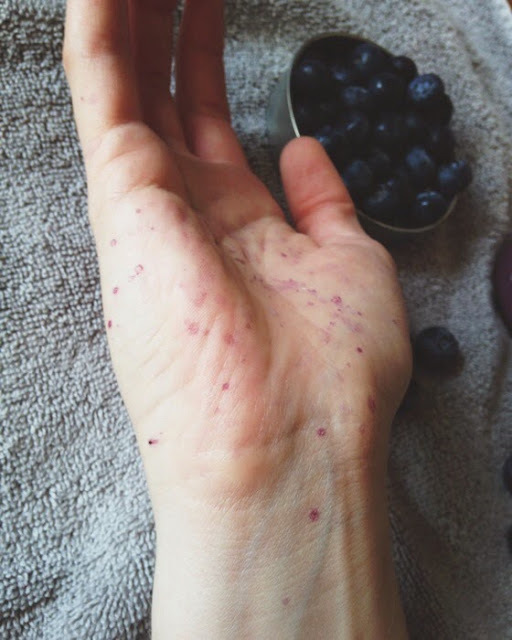 So throw those staining berries in a blender, and drink up.